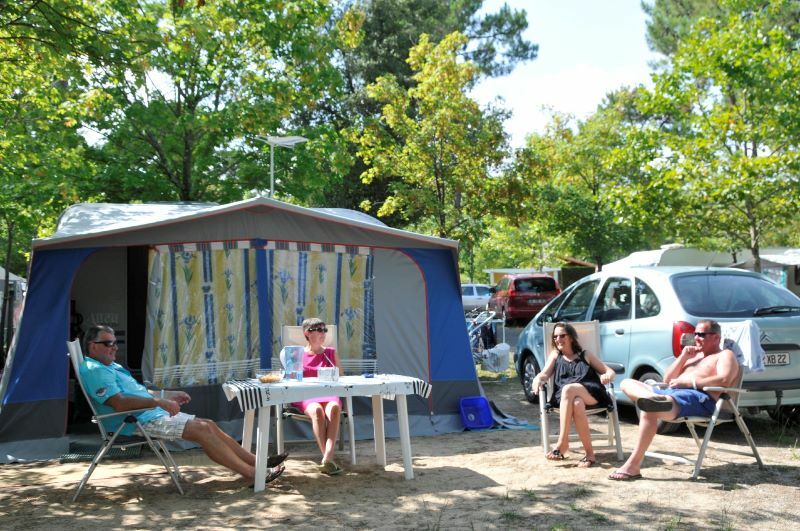 Book your holiday at Idéal Camping ! 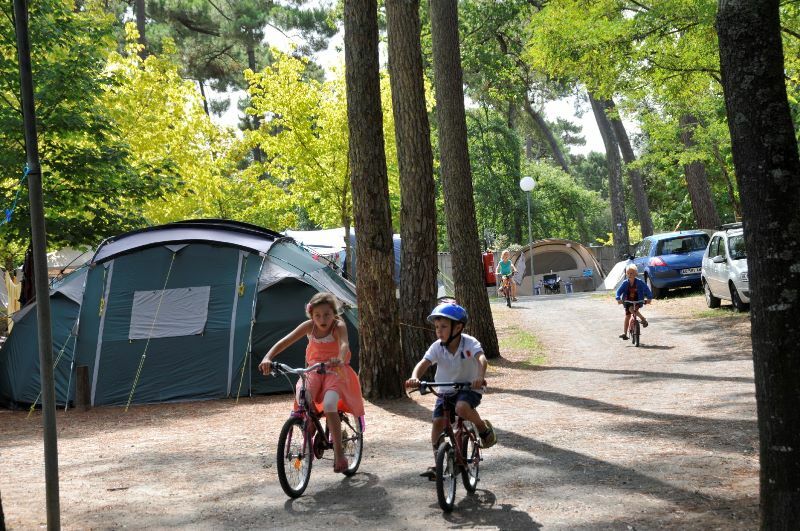 Our homely campsite offers 399 spacious pitches, with an area of 90 to 100 m² on a stable ground, grassy and sandy, delimited by trees (pines, oaks, acacia trees and plane trees). You can plant your tent, install your caravan or your camping-car on a sunny, half shaded or shaded 200 m from the beach. You have the possibilities to arrive on any days (departure before miday). – Electrical connection 6 and 10 Amps on electrified areas (European and French plugs). Please provide a long electric extension cord. To eat a delecious grill with a family or friends, we allow gas and electric barbecues. Charcoal barbecues are prohibited for safety reasons. 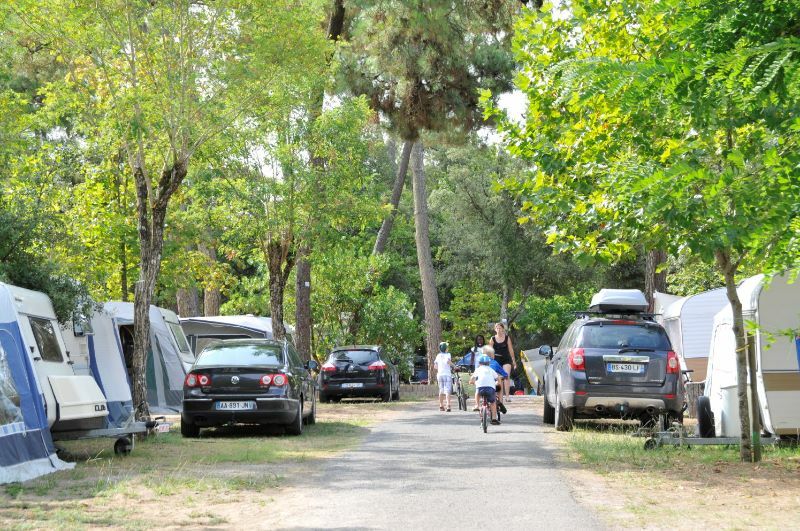 Caravans and Motorhomes with double axles are not accepted in our campsite. During your reservation, please kindly specify the dimensions of your equipment so welcome you in the best conditions. We accept motorhomes up to 7,50 m long and caravans with a maximum length of 6 m (without the pulling bar). The daily rate is counted from noon to noon. Pitches should be free before noon the day of leaving. Tourist tax included in the rates. The dogs are not allowed in the campsite. 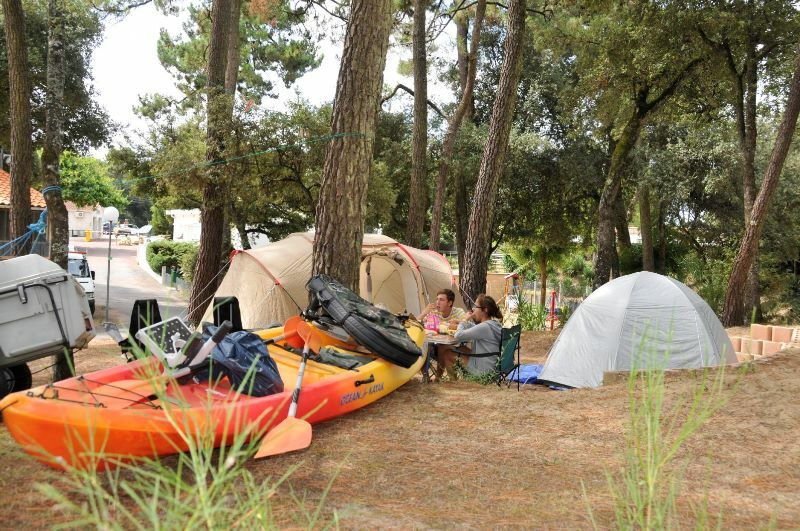 Each pitch can welcome at maximum 6 campers (children and babies included). Daily rates include access to the Water Park.